Today, for a special School-wide Wednesday post, I’d like to share a poem I wrote inspired by Jen over at www.empathicteacher.wordpress.com. Last week, Jen shared a strategy she used in her class involving old issues of Upfront magazine, a nonfiction serial publication for teens spanning relevant news, issues, and current events and topics of interest to teens. Her goal wasn’t for students to think about the main idea and supporting details and then write a five sentence summary of an informational article. Her goal was for students to play with language and create a response to the test in the form of a poem. Found poems are deceptively simple: they require that the reader glean words, phrases, and sentences from a text or multiple texts in order to compose a poem using the author’s language. In my experience, using found poems in response to literature, they allow students to let down their guard and throw away inhibitions about writing poetry. Found poetry also allows students to gather and collect details that “stick with them” without having to worry about why. One of my favorite uses of the found poem in an English classroom is in response to difficult texts such as Nathaniel Hawthorne’s The Scarlet Letter. After reading an excerpt from “Pearl,” I invited students to highlight adjectives and phrases that Hawthorne uses to describe Hester’s strange daughter. 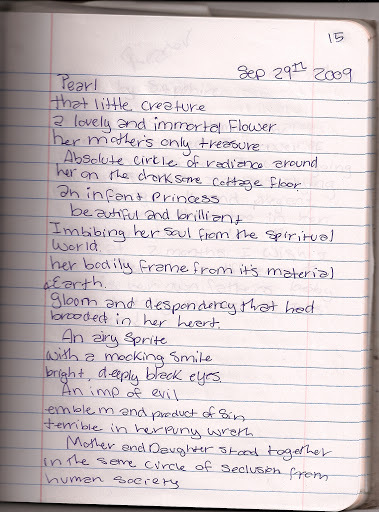 Then, they went back to the text to glean the language that they felt was most important to create a poem using Hawthorne’s own words to represent Pearl. We shared our poems, talked about the patterns and dug deeper into the “so what” or “why” in regards to the author’s purpose and style. Then, we moved into a formal analytical response. Since we took the time to play with language and form creative responses, students were ready to think analytically. 2) Interpretation– So what does this mean? 3) Application–Now what do I understand about the author’s purpose or craft? In content areas other than English, found poems are a quick, accessible tool to engage students in thinking about themes and topics found in expository and informational texts. 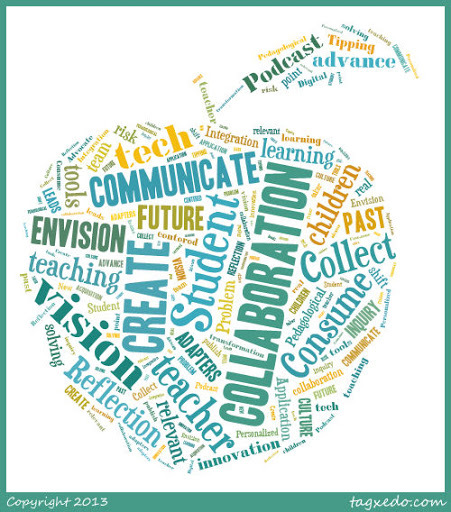 I decided to take an emerging text form, tweets, to create a found poem in response to last week’s Digital Learning Day #DLDay and the plethora of information I received at TCEA in Austin. 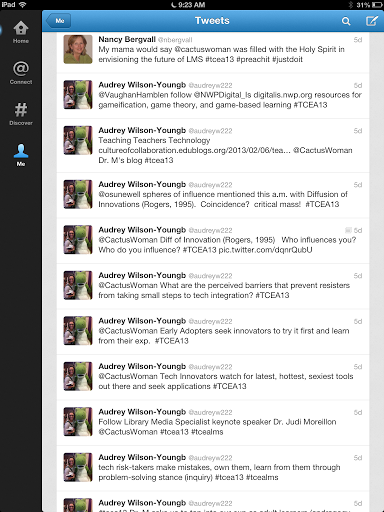 Step 1–Read my tweets and notes that I took on Digital Learning Day and during the conference. Step 3–Draft a poem by rearranging phrases, creating repetitions, thinking about form, etc. If I can create a found poem out of Twitter-text and tweets, then it can be done in response to ANY text in ANY content area. What are your thoughts? 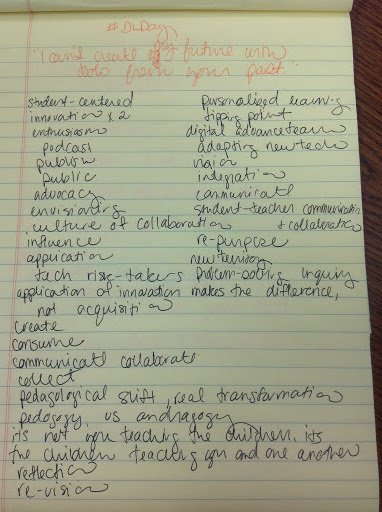 How could students use a found poem in your content area? What types of texts could they respond to? This entry was posted in nonfiction, school-wide literacy.